The European Union has started an investigation into whether Amazon is unfairly using data collected about third-party sellers to make its own decisions about products to sell, information that would give it a potentially anti-competitive edge. For many independent merchants who sell their goods on Amazon, there has long been deep concern that if the e-commerce giant saw a particular product selling well, the company would duplicate it, but at a lower price. The European Union’s (EU) antitrust chief said Wednesday there may be reason for worry. Margrethe Vestager, the bloc’s competition commissioner, announced the start of an investigation into whether Amazon is unfairly using data collected about third-party sellers to make its own decisions about products to sell, information that would give it a potentially anti-competitive edge. The announcement keeps Europe at the center of a debate about how to regulate global technology platforms. Amazon, whose chief executive, Jeff Bezos, is the world’s wealthiest person, has become a particular focus of antitrust scrutiny, as the company’s vast and quickly expanding business dominates online retail and underpins much of the internet through a cloud-computing division. Vestager, the world’s most aggressive regulator of U.S. technology giants, said Amazon’s dual position as host of the largest online platform for third-party sellers, as well as a retailer of goods, deserved a closer look from European investigators. Her office has sent a number of questionnaires to market participants to learn more about Amazon’s practices. She called the investigation “preliminary,” and noted a formal inquiry had not been started. European antitrust investigations can take years to complete. “It is very early days in this antitrust investigation into Amazon’s business practices,” Vestager said. Amazon had no immediate comment. Most of the products sold on Amazon come from third-party sellers who use the platform to find customers. The practice has been mutually beneficial: Merchants get access to Amazon customers they would not otherwise be able to reach, while Amazon is able to offer a wider range of products and to collect a fee from any goods that are sold. Just more than half the company’s unit sales globally come from third-party sellers. But in recent years, the relationship has become more fraught. Amazon has expanded the number of goods it produces itself — clothing, bathroom and kitchen essentials, office supplies, electronics and more. 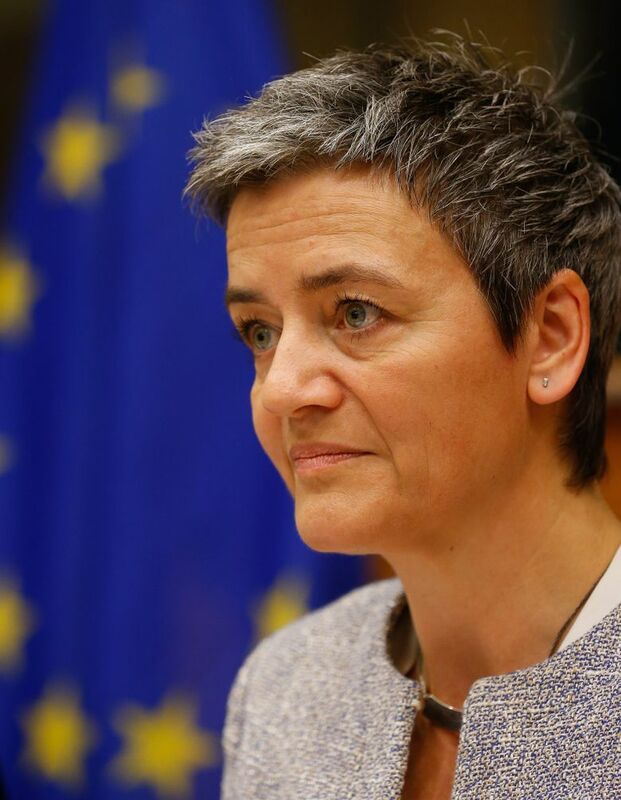 And as it becomes more of a merchant, often competing directly with third-party vendors, there is a potential for anti-competitive behavior, Vestager said. Amazon, she added, can use sales data about other merchants to improve its offerings. The investigation fits into a broader argument of Vestager’s, that the value of data must play a more important role in antitrust enforcement because, in the digital economy, it can be used to unfairly block competition. She had previously investigated Apple’s acquisition of the music app Shazam over concerns about data, though she eventually approved the deal. This is not the first time Amazon has been in Vestager’s sights. Last year, her office ordered Luxembourg to collect 250 million euros, or about $290 million at current exchange rates, in back taxes from the online retail giant. The EU has become the world’s most assertive check against the tech industry, penalizing companies including Apple, Facebook, Google and the semiconductor maker Qualcomm. While the approach has been criticized as an unfair attack on U.S. businesses, it is increasingly seen as a possible model by some officials in the United States who want more oversight of the businesses at the center of the digital economy.